Ya gotta eat! Here are some GREAT recipes to inspire ya! 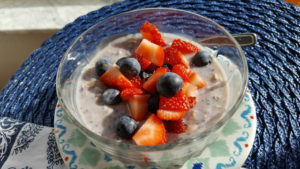 A yummy snack and an easy to make healthy breakfast are our featured dishes on this week’s Meal Plan Monday. 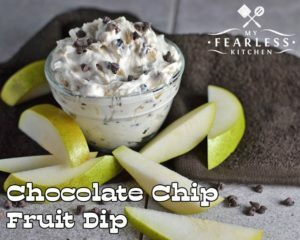 Chocolate Chip Fruit Dip, from My Fearless Kitchen and Quick & Easy Overnight Oats from Just On Donna were the most popular recipes last week and they are yummy! 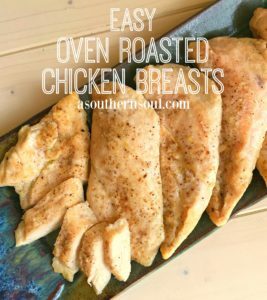 We’ve also got a host feature, Easy Oven Roasted Chicken Breast, from A Southern Soul that’s sure to help you with your weekly meal planning. Wow, thanks so much for the feature! I love seeing the recipes that everyone shares here! Recipes look yummy!!! I’m sure I’ll make one soon. Quick question… is the March Scripture coming soon? Hey Nellie! It’s already up 🙂 The entire year can be found by clicking on “scripture writing” in the little menu on the very top right of this page, up above the picture of my books 🙂 I’ll try to drop a direct link here when I’m at my computer next (on phone now).